Following the successful launch of the first phase of sales at Lansdowne Place, the second phase of apartments is now on sale in Ballsbridge. The 23 units on release are located in The Blake, a premium stand-alone pavilion style building with views over Lansdowne Road. Two collections are on release. 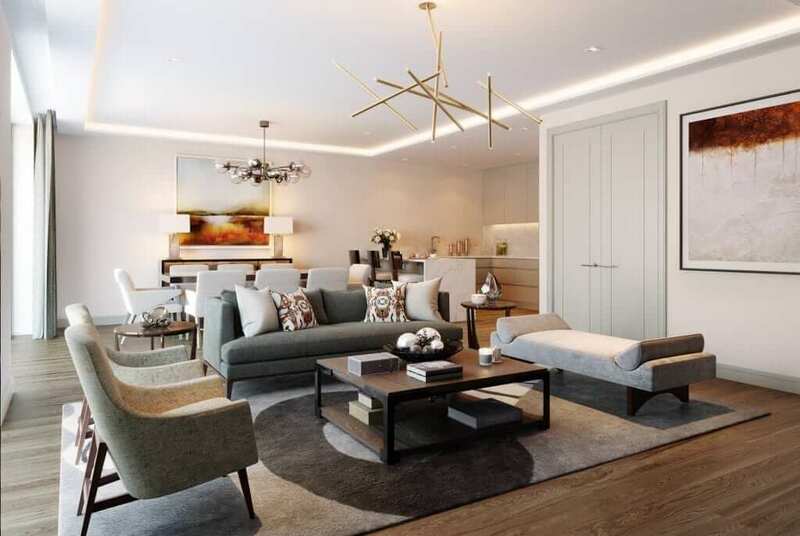 The Berkeley Collection, which includes twenty large apartments ranging in price from €825,000 to €2.1 million, and The Lansdowne Collection which comprises three spacious penthouse units with prices starting at €2.15 million. 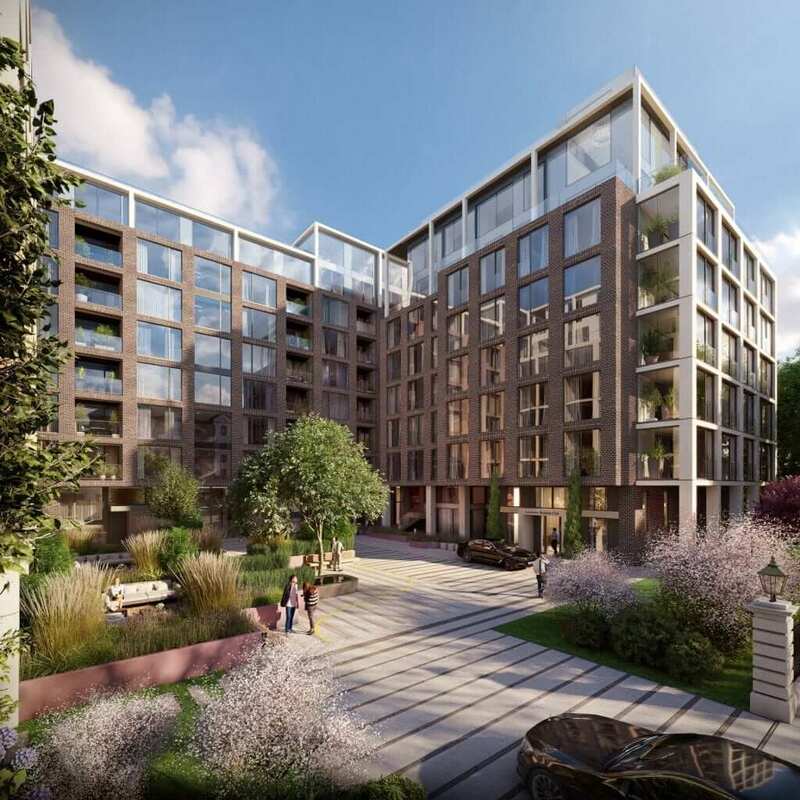 Situated on the corner of Lansdowne Road and Shelbourne Road, Lansdowne Place is being developed on the site of the former Berkeley Court Hotel and was also once home to the Trinity College Botanic Gardens, which were located there for over one hundred and sixty years. In keeping with the legacy of the site, the individual buildings in the development are named after acclaimed Irish botanists with close links to the site. The Blake, which is now on the market, is named after Edith Blake (1846-1926) an Irish botanical illustrator and writer. Of the seven buildings in the Lansdowne Place development, The Templeton is sold out and sales are well advanced in The Barrington following the initial launch of the scheme earlier in the year. The eagerly anticipated units in The Blake are expected to be in high demand with the agents reporting significant interest in advance of the launch due to their large size and premier location on the site. Sales in this development have already established prices in excess of €1,000 per square foot. One of the main talking points has been the scale and service provided in the Residents’ amenities at Lansdowne Place. The Residents’ amenity offering will be provided over two floors totalling 6,500 sq.ft. and will be managed by a 24-hour concierge and management team. Residents and their guests will have the benefit of a lounge, library, meeting room, cinema and hospitality space. This unique lifestyle initiative, not delivered previously in Ireland, will also house a gym, sauna, steam room and treatment rooms. As part of the offering it is envisaged that a dedicated car sharing service will be available for the exclusive use of the residents. Purchasers of Lansdowne Place to-date have been attracted by the spaciousness, quality of craftmanship and superior finish of the apartments which are unrivalled in Ireland and compete with the very best of international standards. All apartments are characterised by bright open plan living areas, including spacious sunrooms that uniquely combine the beauty of outdoor living with indoor comforts. There are generous ceiling heights of 2.7 m (8’ 10”) and large floor to ceiling windows, sunrooms and balconies as standard. When it comes to design, every detail has been carefully considered by London-based interior architects, Goddard Littlefair. Unique features include custom designed Irish craft integrated kitchens, coffered ceiling lighting in the living rooms and bathroom suites finished in limestone and marble. There are twenty-three units now on offer in The Blake which are some of the most sought-after units within the scheme with varying size and design. 3 spacious one-bedroom apartments of 703 sq. ft. priced from €825,000. 11 two-bedroom apartments starting at €1.5 million measuring 1,428 sq. ft. to 1,661 sq.ft. 4 much sought after three-bed apartments which can be converted to a 2 bed-plus study, starting at €1.95 million measuring 1,771 sq.ft. to 1,911 sq.ft. The views from these apartments are superior with dual aspects from NW to SW.
2 well-located three-bedroom duplexes at ground level, over 2,200 sq.ft. with their own hall door and private terrace overlooking the residents’ courtyard. These would be ideally suited for family living with their generous living space both inside and out. Prices start at €1.77 million. The ‘2 bed plus study penthouse’ measuring 1,528 sq.ft. with an open terrace of 456 sq.ft. The ‘tri aspect 3 bed terraced penthouse’ measuring 2,394 sq.ft. and including three generously sized wraparound terraces totalling 1,165 sq.ft. – unique on the Dublin market. The eagerly awaited ‘roof garden penthouse’ with a magnificent double height ceiling in the living room and 3,772 sq.ft. of internal space. This roof garden penthouse, one of only nine in the entire scheme, has extremely large living accommodation with three double suites together with a private Lansdowne Road facing terrace space and a substantial rooftop garden, adding a further 1,914 sq.ft. of open space. When fully complete, Lansdowne Place will have a total of 217 apartments, including 24 penthouses, designed by Irish architects O’Mahony Pike. The first apartment buildings will be ready in mid-2018 and it is expected that all construction in Lansdowne Place will be finished by the end of 2019. Through joint ventures with long-term institutional capital partners, Chartered Land has forged a distinguished portfolio that includes Dundrum Town Centre; the Bord Gáis Energy Theatre and Grand Canal Square office scheme in Dublin’s Docklands; Swords Pavilions; and a mixed-use retail led development on South King Street, Dublin 2.